From 4 November 2017, on workdays between 4:30–20:30 metro line M3 is replaced by buses between Lehel tér and Újpest-Központ stations. 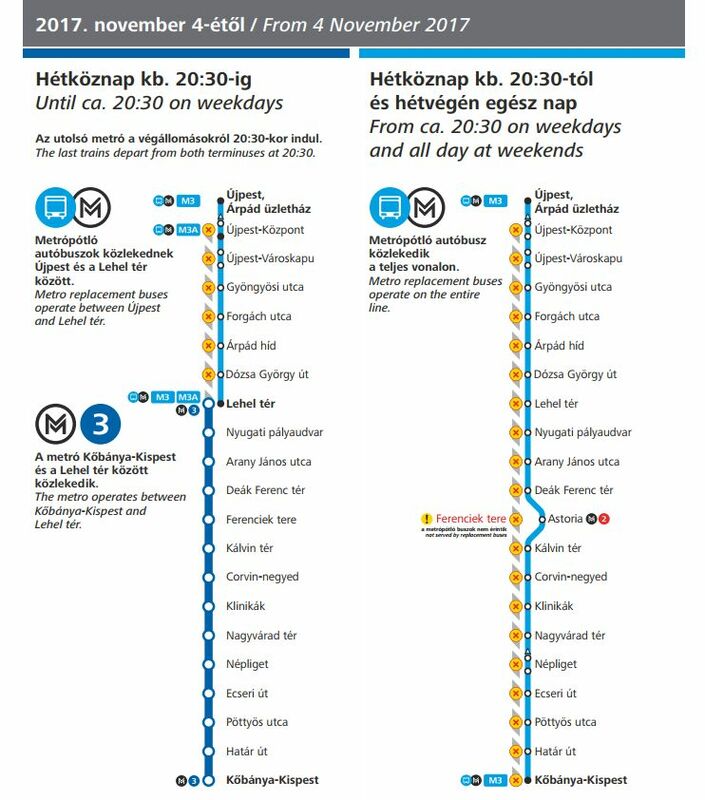 Metro line M3 is replaced by buses on its entire route on weekday nights (past 20:30) and at weekends. Metro replacement buses will depart in every 45 seconds in peak hours. Below you see the closest stop of the Metro replacement bus in the direction of the city center. For the other direction click here.